A NEW choir craze is taking over the region. And last Friday it came to NORPA. Over 180 people braved thunderstorms to pack out NORPA's studio and sing to their heart's content as part of an interactive choir experience. 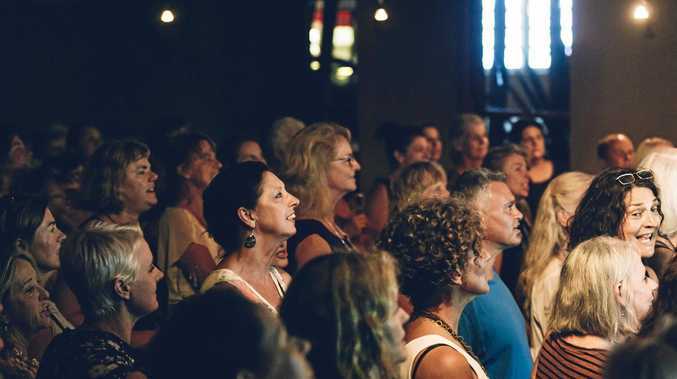 The monthly gathering, known as the Shire Choir, has been taking place in Bangalow each month for the past year and it seems participants can't get enough. Shire Choir organiser, Sally Brandon, said the concept for their "special brand of fun" had grown to such an extent they made the decision to approach NORPA to enable more people to join in. 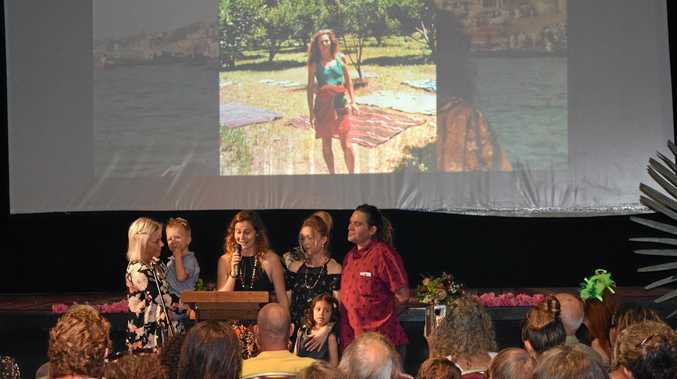 "We noticed that people were coming to Bangalow pub to take part from all parts of the region. So when we decided to expand, Lismore was our first choice," she said. "The concept of community choirs was coming back into vogue and growing in appeal around the world. "In Lismore we were able to double our capacity, she said. "At one point there was a massive thunderstorm, which led to a momentary blackout. "But nothing would dampen the spirits of the evening. It is hard to describe the energy and joy coming from the people in the room. Everyone is smiling, " said Ms Brandon.. The choir sings everything from Madonna to Fleetwood Mac and John Farnham, harmonies and parts included. The idea is for all sectors of the community to be involved, children included depending on the venue. "It is so joyful when people join together. So many barriers are broken down when you all enjoy an experience together." A date for the next experience will take place in May.